We go [on retreat] to seek the opportunity of being alone with God, and attending to God, in order that we may do His will better in our everyday lives. [We go to live for a few days the life of prayer, and deepen our contact with the spiritual realities on which our lives depend – to recover if we can our spiritual poise.] We do not go for spiritual information, but for spiritual food and air – to wait on the Lord and renew our strength – not for our own sakes, but for the sake of the world. The above words capture the essence of what a retreat with Evelyn Underhill would hopefully be like. It also captures something of the nature of Nether Springs itself. 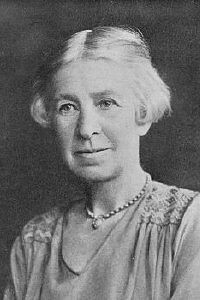 For this retreat we will be drawing on Evelyn Underhill’s insights as a Spiritual Director and Retreat Leader; in other words her observations of our encounters with God, our life of prayer and how this works through in our engagement with the life we live and the world we encounter.